DALIA SAID HAS a pretty good reason to show up for work, ready to get ahead of the curve, every day. Ms. Said works for Verafin, which specializes in fraud detection software and analytics. Founded in 2003 by three Memorial University graduates, Verafin is now a North American leader in its sector. It’s a perfect fit for Ms. Said’s skills — and passion. 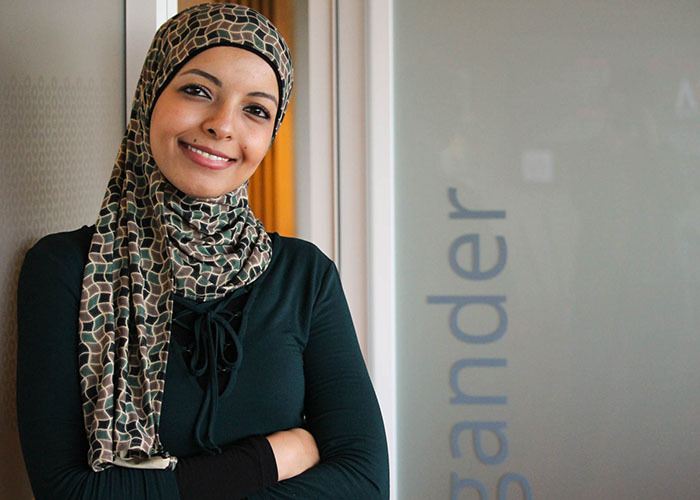 Originally from Egypt, she has long been fascinated by gaming and software development. “I always wanted to learn as much as I could and make a career out of it,” she says. There’s not much more motivating than having a victim of human trafficking come in and tell you how important our work has been for them. After receiving an undergraduate degree in Cairo, Ms. Said enrolled at Memorial University (“No one told me about the weather,” she laughs). She completed a master’s degree in computer science in 2017, and immediately started at Verafin as an analytics developer.